I’m fascinated by characters and the things that make them come alive in a story. As a reader, one of my biggest disappointments is when I finish a book and I can name only one or two characters in it. If they don’t come across as real people with things that make them human, I just don’t remember them. 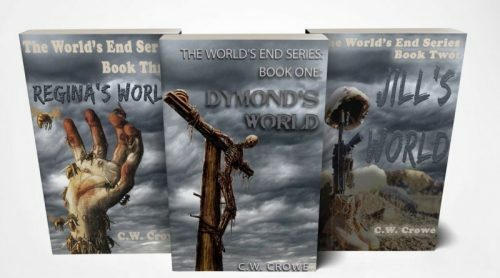 As an author, I work a lot on characters, always trying to make them stand out in some way. 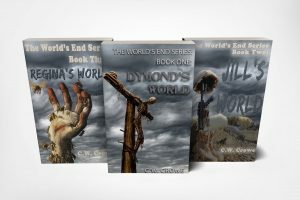 My latest series is a dytopian, end-of-the-world scifi thriller that has a large cast. 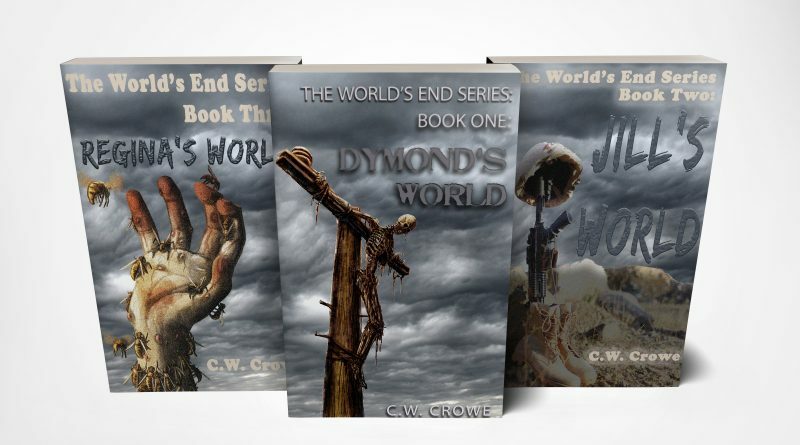 It’s called The World’s End Series. If I did my job right, the reader will be able to name at least twelve of the characters when they are done reading. One of the hardest things to do is to make a relatively minor character come alive. Usually it’s a character brought in to serve a specific purpose for a short while and then exit the stage. One way to bring these people to life is to amp up the drama as they play their part. My original plan was to simply have the priest delay the evil town leaders for a while, but I think the excerpt below will show how he becomes unforgettable. His name is Father Robert Francis. He’s a thirty five year old priest of a church near Sun Valley, Idaho. It’s a vacation spot for the well to do and his life is good. Until the power goes out right before Christmas and a deadly strain of the flu ravages the world. Father Francis is seen a couple of times, organizing food supplies and doing good, but he’s not very memorable. Then the town leaders die and a pair of ruthless people take over. Father Francis is aghast at their edicts, but backs down when he is threatened. Ashamed of his cowardice, he waits on a park bench, praying for guidance, when a young woman comes by on a mission to get antibiotics for her best friend who has the flu and may die. The excerpt from the book below is less than three pages. I think the reader will learn a LOT about Father Francis is a very short time. The scene below occurs as he tries to explain why he can’t do anything to help Sarabeth – known here by her nickname, SeeBee. See what you think! Later, Sarabeth returns after having fought the new town leaders, locking them in a room after beating them senseless with a liquor bottle. “You . . . you fought back against them? All by yourself?” There was wonder in his voice, tinged with shame. He studied Sarabeth. She was an average height for a woman and on the thin side. Sue Bumgarder had to be close to six feet and weighed one eighty or more. Ryan Rogers was even bigger. Father Robert Francis had spent the last hour sitting on a bench all alone, asking God again and again to tell him what to do and now this young woman was asking him the same question. He’d confessed his cowardice and had begged to be forgiven, but God had been silent. God wasn’t fooled. The assignment in this beautiful valley with its small population of permanent residents and its larger population of vacationers made for a very pleasant life as a priest. He performed the occasional marriage, offered Mass a few times a week, and generally played the part of a priest, almost like he was in some movie. Nothing much was asked of him and life was easy. His friends in the priesthood, those that worked in the inner city or ran schools for the poor, told him how lucky he was, how they envied him. That morning, when he failed to confront Ryan Rogers, he thought about the truly meaningful things he had done in his life. It was a small list that left him feeling ashamed. He looked to God for the strength to speak up, but he didn’t hear a thing. His own strength was lacking and now it appeared that God had abandoned him. And yet, this young woman, willing to do anything to help another person, had stood up to them on her own. Her eyes bored into his, waiting for his answer to her simple question – What should I do? At that moment, Father Francis prayed that exact question to God. And this time, he received an answer. It was so clear. He felt a burden lift from his soul – a burden that had been there a long, long time. Father Robert Francis managed to keep Ryan and Sue inside the Sheriff’s office for almost three hours. People kept coming by, but he told them that Ryan had ordered they be left alone. A few grumbled, but what could they do? When the time arrived to open the library and distribute the day’s food ration, over twenty people waited outside the door for Ryan because he had the keys. That’s when they found them. Sue was covered in blood and her nose was flattened. Ryan had pissed himself as he’d waited for rescue. The town still had the old style wooden poles that held the wires that carried electricity. The wires were useless today, but they found a use for the pole. They tied Father Francis to the top, arms outstretched. They left him there, naked, as a lesson to the people of Ketchum, Idaho. Dying of hypothermia is easy. The cold hurts for a while, but then you get sleepy until you pass gently away. Father Francis never felt the cold at all because God was with him. He could see the light and feel the warmth. 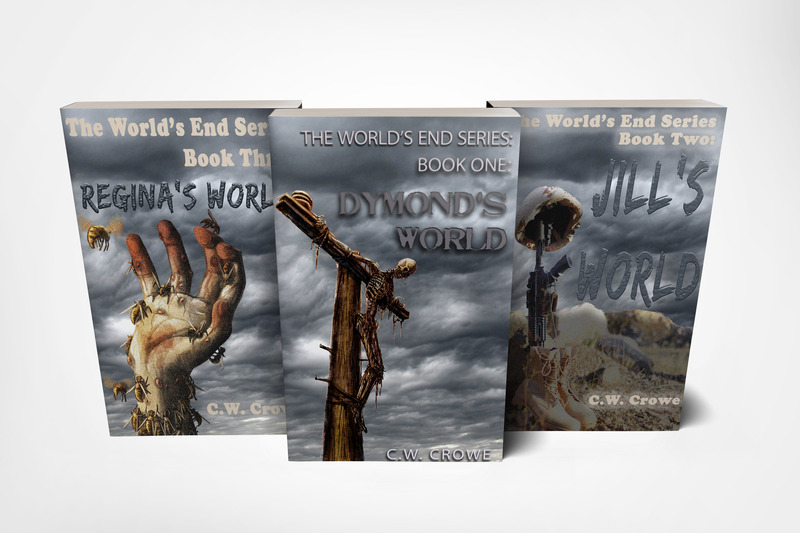 ← The World’s End Series now LIVE on Amazon – Three Books of Amazement!